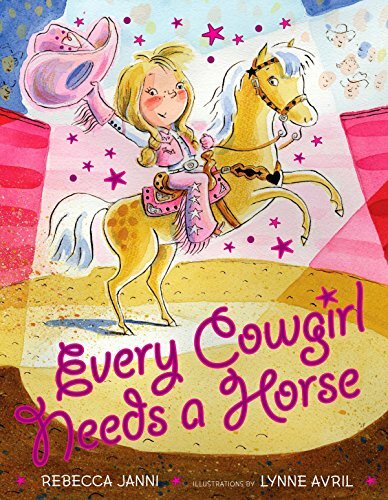 In Every Cowgirl Needs a Horse, Nellie Sue does everything with a western flair. Whether it is cleaning up the animal sty (picking up her stuffed animals) or rounding up cattle (getting the neighborhood kids together for her birthday party), she does it like a true cowgirl. All she really needs is a horse. So when Dad announces at her birthday party, “I got a horse right here for you,” Nellie Sue is excited. But when her horse turns out to be her first bicycle, it will take an imagination as big as Texas to help save the day.